Greenland assaults your senses with pure air, crystal waters, blue ice, staggering fjords, a fascinating past and a welcoming present. 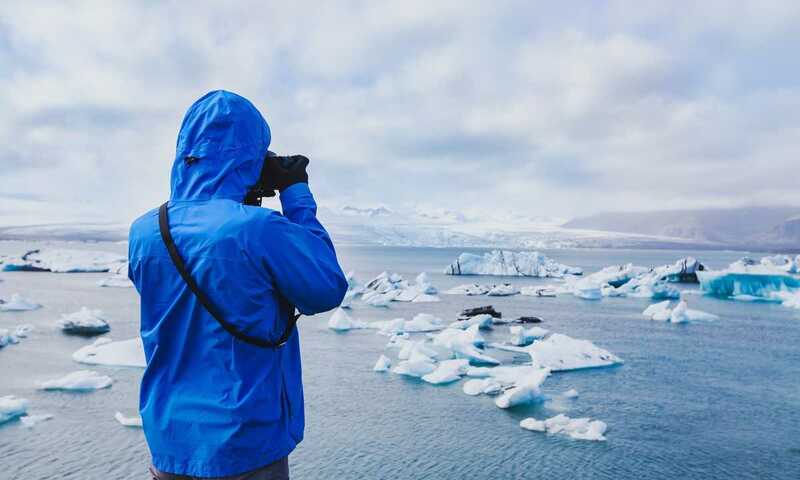 Whether you are whale watching in Disko Bay, exploring Nuuk or trekking the cliffs of Scoresbysund Greenland gets under your skin and you'll soon want to go back for more. Greenland is huge and for much of the year it is bound in ice. The window for exploration by boat can be short, and the majority of trips operate in July, August and September. There are not many ships that explore Greenland, so to ensure you can choose the best for you it is imperative that you book as early as you can. In the early season the temperatures remain well above freezing, and in late August and September it becomes dark enough to see the Northern Lights. Ice is a big factor and can affect any expedition at any stage so you need to be flexible and consider the strength of the ship you choose. With fewer polar bears in much of Greenland there are also opportunities to get some longer treks in, which can be hard to achieve in other regions. If you want to be active on your trip, definitely ensure that your ship facilitates this. Greenland is vast, and whether you choose to explore the wild east, populous west, or historic south coast, you can expect daily off-ship excursions showcasing the best of each distinct region. While Greenland has more than enough appeal on its own, combining East Greenland and its near neighbour, Svalbard, makes for a spectacular longer cruise of great contrast and variety. Divided by a short sail across the Davis Strait, combining the spectacular coast and picturesque villages of West Greenland with the wildlife and history of the Canadian Arctic works brilliantly. Most cruises start and end in Kangerlussauq, which sits at the head of a stunning fjord and close to the ice cap. It boasts a long airport runway and is the most populated region of Greenland. 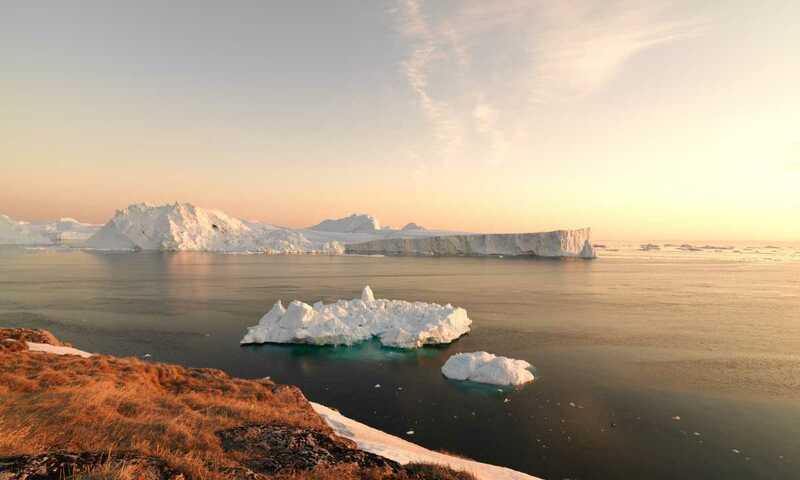 The west coast is also home to the capital Nuuk, where you can discover the UNESCO world heritage site in Ilulissat Icefjord, with its huge icebergs and picturesque settlements. These waters are rich in nutrients that nourish the countless whales and seals which call these waters home in the summer months. Cruises in West Greenland often focus on Disko Bay, and it's also a great place to start or end a cruise into the Northwest Passage. This is Greenland's wildside. Sparsely populated and lacking any significant infrastructure, exploring the East of Greenland by any means other than boat is something of a challenge. You'll discover pristine landscape, sumptuous fjords and ice, all on a truly gigantic scale. Life has not changed significantly since the arrival of the Thule people for the 3,500 residents of East Greenland. There is always a friendly welcome and a chance to learn about their customs while you explore this land of ice and mountains. Expeditions in East Greenland usually focus on Soresbysund fjord and are often combined with travel to Iceland and Svalbard; making for a truly spectacular Arctic experience. Perhaps the most verdant region of Greenland, South Greenland is commonly referred to as the 'Garden of Greenland'. Eric the Red is said to have first landed here, naming the country as he did. Southern Greenland is steeped in history, with beautiful fjords and colourful valleys offering amazing trekking experiences for the active explorer. There are even hot springs to relax in at the end of a long trek. The culture is also particularly distinct. Small farming communities are joined by dirt tracks and hiking trails, and have strong links to the north pacific countries given that Reykjavik is closer than Nuuk. Expeditions in South Greenland generally start in Iceland and continue to West Greenland. Greenland is just so pure and clean. Ice, thousands of years old, predates our impact on the world and somehow the air feels just as pure. Combined with scenery designed for giants, any time spent in Greenland is life changing. Much of Greenland's population rely on hunting to serve them through long winters; living in sparsely located settlements where supply ships are rare. While there is plenty of wildlife in Greenland, it tends to avoid settlements and can be a bit harder to spot than in other parts of the Arctic. You are likely to see a host of marine wildlife with humpbacks, beluga and greenland whale as well as narwhal and seals. On land you will be lucky to see a polar bear; although they are there and have been known to walk into some of the remote communities, you are far more likley to see Musk Oxen. There is a rich tapestry of birdlife both on the sea and the land, with species such as sabines gull, loons and the white tailed eagle. As your floating hotel and basecamp, it's crucial to choose the right ship. Smaller ships plying Greenland's waters host around 50 passengers, and the largest around 200. Levels of comfort and cabin types vary, so you can find a ship that meets your preferences best. A ship's ice-strengthened capabilities and stability are important criteria if considering either an itinerary with a sea crossing or where there's a chance to experience heavy ice (East Greenland and Northwest Passage). You may see some wildlife - musk oxen and birdlife particularly - but Greenland isn’t renowned for wildlife in the same way as Svalbard and Canada's Northwest Passage. You would certainly be very lucky to see a polar bear, and only in East Greenland. If seeing wildlife is your primary objective then there are better places in the Arctic. How do I choose which region to visit? East Coast: Very wild and unpopulated. Perfect for those in search of true wilderness. Better chances of seeing wildlife than in the west, but limited. West Coast: A spectacular coastline dotted with pretty, colourfully-painted villages. Good chance of seeing whales. Highlights include the capital, Nuuk, and the mighty Ilulissat Icefjord. South Coast: First settled on by the Vikings, making it perfect for history buffs, a warmer climate and farming gives the south a totally different feel to the rest of the island. When is the best month to travel? Cruises of Greenland operate during the summer months between June and early September when the opening up of the ice allows passage along the coastline. However, East Greenland cruises and those combining with Canada's Northwest Passage are only in late August and September. It depends on the timing of your cruise. Due to the constant 24 hours of daylight in high summer (June - August), you won't get to see them. The best chances for experiencing the extraordinary Aurora Borealis are on a September cruise when the rapidly drawing in nights of early autumn provide the ideal conditions. Greenland is a particularly good place for seeing the Northern Lights from our own personal experience.